When I first started working on wind farms, I wondered why auto reclose was never implemented on wind farm collector groups. Feeders containing overhead line are subject to the same transient faults as a distribution network – primarily due to bird strike. Dead electrocuted crow. Birdstrikes can result in significant downtime on a wind farm containing overhead lines if an auto-reclose scheme is not implemented. 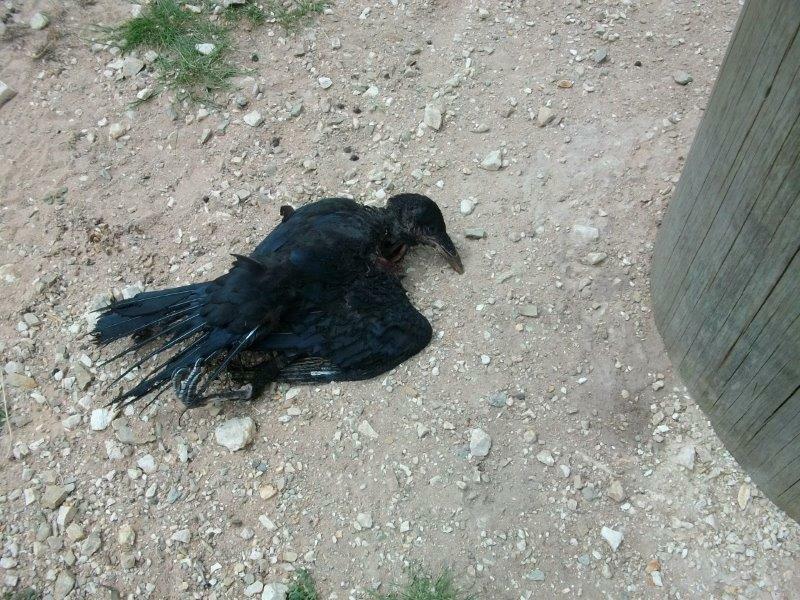 I have witnessed more dead birds on wind farms due to electrocution on overhead lines (a phenomenon not limited to wind farms), than from hitting wind turbine blades. The problem with implementing auto reclose on a wind farm is that wind farms are often plagued by cable faults. The typical Australian/New Zealand wind farm has a central substation where the grid connection is made. This substation normally contains an indoor 22 kV or 33kV switchboard with feeder circuit breakers for each collector group. Outdoor MV circuit breakers are not so common. If a collector group contains both overhead and underground reticulation, people hesitate to reclose a tripped feeder without knowing the fault location. One would not want to reclose onto a failed cable joint, termination or switchgear. Distribution utilities use sectionalisers (such as ABB’s AutoLink) to disconnect (hopefully the faulted) part of a circuit before a reclose, but sectionalisers are only rated up to a couple hundred amps. A wind farm feeder may see double that at full power. Install a recloser at the wind farm end of the collector group overhead line (pole-top, before the reticulation becomes cable and before any switchgear). If the recloser sees the fault is on the wind farm side (i.e. in cable etc., where we don’t want to reclose) it opens after the feeder circuit breaker clears the fault. If the feeder CB trips, it can attempt an auto-reclose operation without risk of closing onto a cable/switchgear fault. Install a fault passage indicator in the position discussed in Option 1. The feeder CB is only allowed to auto reclose if it receives a signal from the fault passage indicator confirming it did not see the fault. Therefore the fault that caused the feeder breaker to trip must have been in the overhead lines. The fault indicator will only see the fault current if it is upstream (on the grid side) of the fault. Don’t worry about the location of the fault. Attempt an auto reclose of the feeder CB. If the fault is in cable or switchgear, additional damage may occur, but the fault will require repair anyway. Option 3 goes against conservative approaches, but it can be safely implemented and result in signficant improvements to windfarm availability. Obviously the above options assume the auto reclose scheme has been properly designed and implemented. Reclose dead time would need to allow all WTG’s to trip on anti-islanding or undervoltage protection. Blcok reclose for very high fault levels. Blocking may get around the problem of reclosing onto a fault between the substation switchboard and the overhead line. I am interested to hear people’s experience with similar auto reclose schemes whether on wind farms or not.